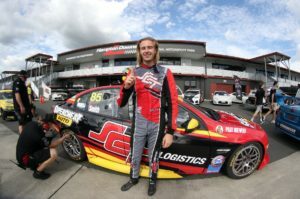 An upgraded car and a refined driving style are two of the ingredients Matt Tubbs hopes will springboard his results when the BNT V8s get underway at Pukekohe in November. BNT V8s, Class One, Holden Commodore, Jack Smith, Pukekohe, Ruapuna, Taupo. BNT V8s, Class One, Hamilton Motorsports, Holden Commodore, Jack Smith, Pukekohe, Taupo.